14:31 It's a 1m20.841s for Raikkonen on the soft-compound Pirellis. That's the fastest time of the week - pipping Vettel's best earlier in the week of 1m20.9s. To be honest it is actually not such a good time. Vettel did a 1:20.9 on medium tyres, on a 10 laps stint. Apparently the the mediums and softs are 1,5 seconds apart. But to be honest I dont think Kimi is looking for the fastest time either. He is obviously going to do a lot of laps on these same set of soft tyres, so he wouldn't cook them on the first lap. And they are also obviously running with fuel, I bet if they really went for it they could properly lap around the 1:18's or 1:19's. Kimi's lap count is currently at 95. Kimi is out on mediums again. 15:42 Raikkonen is currently lapping in the 1m24s bracket. I wonder how long is his stint. And his lap count, is he over 100 laps already? 106 at the end of the day,it was a nice day for Kimi! Weichai is one of Ferrari's sponsor, a Chinese compay, they specialises in the research and development, manufacture and sale of diesel engines. Chai in Chinese meason diesel/firewood. But why are Ferrari pairing with a Diesel company? Do they help with fuel research? Do they help with the turbo? haven't you seen this great ad yet Sonny?? times don't tell anything yet but there are sure good signs. Kimi seemed happy with the car, people at trackside say that it looks stable and good at turn in and reliability was more or less fine too. Sauber did also a lot of laps so Ferrari also have a lot of PU data. At Barcelona there should be further updates and more long runs and if Mercedes and others will show their cards we maybe will know more how far they are behind. "Today and yesterday the weather was quite bad, today in the afternon the wind was quite high and it was not ideal at all. But we got a lot of distance and tested different things. Getting the miles was the most important." OMG I have never seen that, I am almost at a lost for words that is simply hilarious. 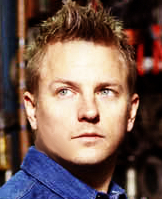 It was quite positive, things dont often go so well for Kimi in testing. I wish the Barcelona tests where already next week, I really want to see what Ferrari does there. "For sure, it's much better than last year's car. Lap times are not important, the main thing is that we could stay out for long without any kind of problems. Even if there was, it was very little, nothing special. It looks like everybody is happier than a year ago. This was a good test. I have a good feeling, this wasn't a bad start." “From the data we have here,” Sauber team boss and co-owner Kaltenborn told the Swiss publication Motorsport Aktuell at Jerez, “we assume that Ferrari has made a big step forward.